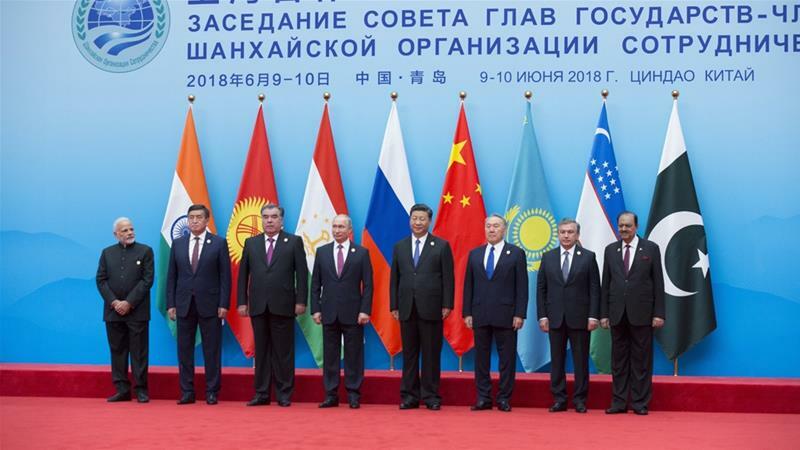 Shanghai Cooperation Organization (SCO) Summit 8-9 June, concluded with the message of hope and promise of working for mutual benefit. President Xi emphasized to pave way for constructive engagement and come out of shell of selfishness and self-centered approaches and actions. He showed willingness to lead the way for greater global integration and cooperation. Russia chipped in and put greater importance to acknowledge and respect international agreements like Iran Nuclear deal. Beijing and Moscow both stressed the need of mutual respect and joint working to look for sustainable solutions and prosperity. On contrary, G-7 Summit 8-9 June, ended with chaos and without joint communiqué. President Trump lashes out on G-7 and especially on Canadian PM Justin Trudeau. Mr. Trump reached deliberately late to attend the Summit lift before the final press appearance. Mr. Trump considers the Europe, integral part of G-7, even bigger threat to USA’s interest than China in the context trade deficit. Before leaving for G-7 Summit Trump administration introduced a new set of tariffs on steel and aluminum import from Canada, Mexico and European Union, which will have severe implications for these countries. USA is largest import market of steel worth $29bn in 2017 and its action will impact global steel and aluminum market. Trump considered it legitimate action as diary sector faces a tariff around 270 percent from Canada. According to him EU and Mexico are also making profit at the cost of US interests. However, these countries think differently. They consider it unfair treatment by USA. These countries have taken retaliatory measures and imposed correspondence tariff measures. Jean-Claude Juncker, president of the European Commission said EU will impose tariff, which will have relevance for about $7.5bn worth trade volume. It would be really harmful for EU, US and rest of world’s trade, as the trade volume between EU and USA is more than one trillion US$ excluding Canada and Mexico. USA imports stuff worth of $593bn and export $501bn. In line with EU, Canada is also devising new set of tariffs, which will affect $12.8bn trade volume. These tariff measures are in addition to action against China. Although the trade deficit is huge with China (import $524, export $187) but both countries are benefiting form trade at large. It is giving impetus many related industries of both countries. China is trying to avoid the trade war but it retreated that it is ready to fight it. Mr. Trump also questioned the status of NATO, along with these economic and trade measures. He is of point of view that America is bearing the major cost for the security of Europe and member states of NATO. Europe on one side is incurring trade benefits and on other side also getting security at the expense of US. He wants to change this and is asking European countries to take responsibility of their own security and contribute more. European leaders are now pondering on, how they can manage their own security. Ms. Angela Merkel is already pressing European leaders to think about their own measures and actions for the security of Europe and individual countries. USA actions at trade, economic and security fronts are badly impacting global economic and governance model and arrangements. It is perceived that a new trade war is on horizons. USA at this point is only thinking about its benefits even at the cost of other countries and regions. Retaliatory measures by other countries are further complicating the situation. It seems that President Trump is opposing system of global integration, which USA created along with allies from Europe. At a time, when USA seems to trigger trade war and undermine its responsibilities as global leader China seems to be eager to take lead to lead the world in all aspects. SCO summit concluded with a very positive note and firm belief in global order and trade. Qingdao Declaration has all elements to consider it, new global agenda and order. Declaration starts with the need of cooperation of solving the current problem of world. It pinpoints the required efforts to tackle the issues through mutual cooperation and trust. Mr. Xi said, there is need to work together and think about the shared prosperity and come out of selfish action. Selfish actions will only damage the entire world and no one will be winner. Qingdao declaration also talks about the importance to accommodate special needs of developing countries. Mr. Xi promised an amount of $4.7bn for loans to promote development in SCO countries. Region and beyond the region connectivity was also discussed and it was agreed that connectivity will be enhanced to promote trade and economic development. It was proposed to work for creation of SCO Development Bank and SCO Development Fund. It would be a great step forward in the presence of Asian Infrastructure Development Bank, PRI Fund etc. It will contribute to give impetus to rapid development and eradicating poverty in SCO countries. Declaration is strong indication of that China and SCO countries are moving toward a trade and economic system, which will be built on “Mutual Benefit” concept. It also reinforces the importance of global order of security and governance. It talked about at length about the UN measures to counter terrorism and extremism to enhance security for durable peace and prosperity. It also urges to align efforts for connectivity and promoting research, scientific cooperation etc. in line with UN. Qingdao declaration also gave a special attention and focus to Sustainable Development Goals (SDGs) in accordance with its spirit of no one left behind. It has been emphasized that developed countries should take lead to fulfill their obligation under the SDGs. Overall Qingdao declaration is a document of hope and positive engagement. Its relevance enhanced in the presence of chaos being created by President Trump, which ultimate is culminating G-7 summit. G-7 summit contributed to accelerate speed of disengagement and selfish decisions. There was a time when G-7 provides guidance and leads the way for cooperative governance and trade. Now G-7 is looking for guidance. Group is struggling to come up with ideas to minimize differences among themselves. On other hand SCO summit shows that China along with its partners like Russia, Pakistan, SCO members and other countries trying to consolidate its position at global stage. China is busy in strengthening old institutions and creating new one to spread its influence but with the objective of shared prosperity. Now it is taking lead in resolving outstanding issues of region and beyond the region. China is applying multiple instruments to solve Afghan issue in a peaceful way. It is also looking for innovative solutions for Syria and other world problems. However, China is making sure that it does not intrude in sovereignty of individual countries. It is emphasizing that there should be indigenous solutions, led by the people of host country. Like in Afghanistan and Syrian case China is emphasizing the role of local people. Comparison of two events, Shanghai Cooperation Organization and G-7 summits on 8-9 June undoubtedly spills out the changing dynamics. World is going through a phase of re-arrangement of alliances and preferences. USA is acting alone to maximize its benefits at any cost. Global order is facing multiple challenges due to actions of USA. Allies of USA especially EU and other Northern countries are in state of shock. They do not know how to react and how to mend the damage, which has been inflicted by USA. China is emerging as a global leader, which emphasizes the need of global system and integration. It talks about shared destination and development but not at the cost of other countries. It is pleasantly interesting to note that China is opening up at time, when the creators of global integration are moving in other direction. President Mr. Xi has clearly signaled that China will do everything to promote globalization of trade and economic development. It makes really good sense for China to pursue this agenda as it is anticipated that China will contribute 30 percent to global GDP in coming decade. China is also taking lead to solve outstanding security issues and conflicts. North Korea has been persuaded by China to be engaged in positive and constructive talks. It ultimately culminated in special summit between North Korea and USA. It is big breakthrough in the context of recent events and hypes between USA and North Korea. China is also heavily engaged in back door diplomacy to find out solutions for Afghan and Syrian conflicts. Globally China is trying to play leadership role in containing and defeating terrorism, extremism and separatism across the world. It has taken lead to resolve the regional outstanding issues and bring regional countries close. Model of Chinese diplomacy is unique in the context that it does not create hype. It also believes in engaging with all stakeholders and building partnerships for solutions. For example it is closely working with Russia, another global power, to look for sustainable solutions. In conclusion there is no other opinion is that world dynamics are changing, but the question is what Pakistan to should do to benefit from it and avoid and possible harm. Pakistan must reorient its diplomacy on the basis of real time assessment of it’s strengthens and weakness and be part of global agenda in a positive and constructive way. Pakistan should also avoid mistakes, which it committed in past and do not fell prey of any other country’s interests or agenda.